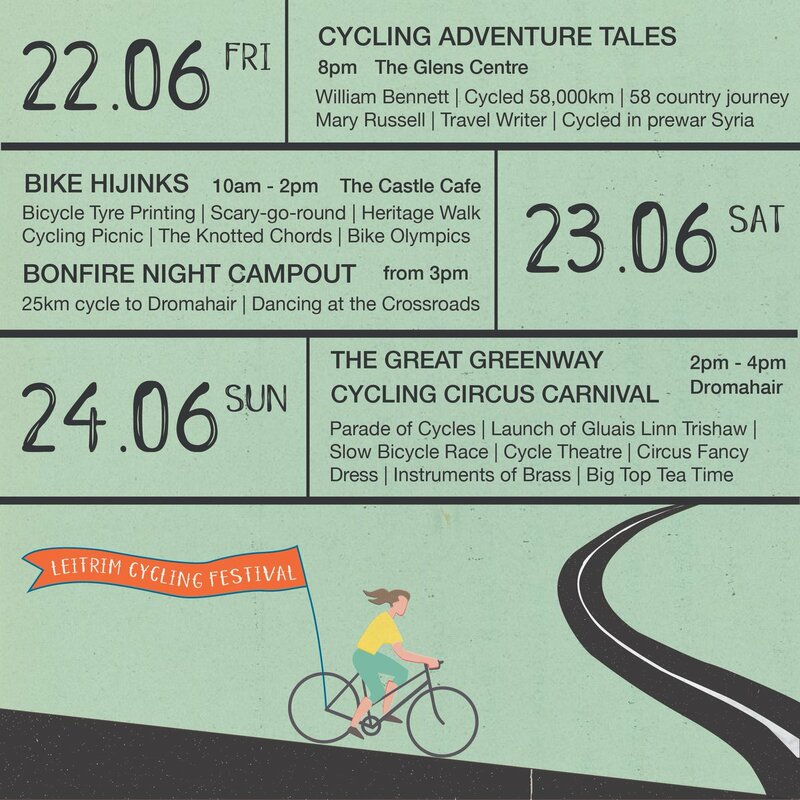 The timetable for the Leitrim Cycling Festival, which takes place later this month has been confirmed and it promises to be an action packed weekend with plenty of activities lined up to keep everybody entertained. The weekend begins on with a talk by Mary Russell and William Bennet talk at the Glens Centre, Manorhamilton. Tickets are (almost!) free but it's advised to book as places may be limited! A fee of €1 will be charged when booking online. If people book the tickets over the phone or in The Glens Centre itself, they won't be charged that €1 as The Glens can manually take away that €1 charge. On Saturday morning the activities begin at 10am with Bike Hijinks at The Castle Cafe, Manorhamilton.